Stagelight recently invested in Vari-Lite VL4000 BeamWash and Spot fixtures. The VL4000 Series were first deployed at Festival aan Zee in De Panne, officially kicking off this year's festival season, with its unmatched feature set and output. 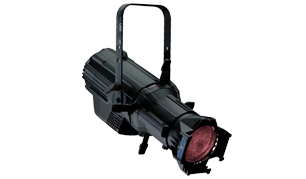 Stagelight is a Belgian rental company for lighting equipment founded in 1981. Nowadays, Stagelight is one of the top lighting companies in Belgium with a solid reputation based on their reliability. They offer services for the entertainment industry and performing arts. As first Belgian company they invested in the powerful VL4000 Series of Vari-Lite. These VL4000 Series consist of a BeamWash and a Spot with both unlimited design possibilities. FACE provided Stagelight with 6 VL4000 Spot luminaires and 12 VL4000 BeamWash luminaires. The VL4000 Spot is the first in a new generation of Vari-Lite luminaires designed to provide designers, rental companies, venues and productions with a pair of luminaires offering unlimited possibilities without compromises. The VL4000 Spot is based on Philips lamp technology with user selectable output levels. The standard mode boasts 33,000 lumens while the Studio mode outputs 25,000 lumens. The Studio mode also operates in an ultra quiet capacity. The VL4000 BeamWash follows on the success of the VL4000 Spot by combining stunning wash capabilities with intense beam functionality as well as the ability to produce a powerful collimated shaft of light. The VL4000 BeamWash produces an amazing 43,000 lumens using a 1200W Philips lamp in Standard mode, and the DMX selectable Studio mode produces 35,000 lumens in near silence. Stagelight choose for the VL4000 Series because of its incredible possibilities due to the features which can be independently used. This gives the light designer carte blanche in using his creativity. Next to the VL4000 Series, Stagelight also invested in 24 ETC Source Four LED Lustr+ fixtures. The Source Four LED Lustr®+ luminaire maximizes the superior mixing capabilities of the x7 Colour System™ to offer the most flexible range of colour. From high-intensity whites to soft tints and supple, vibrant colours, the Source Four Lustr+ achieves theatre-worthy colour rendering. To experience the VL4000 Series, you’re very welcome at FACE. For more information about Vari-Lite or ETC, contact one of our lighting experts for an appointment.